Even grownups don’t often “get it” about what Easter means. Terms like “sacrifice for sin” and “blood of Christ” can sound intimidating, old fashioned and even not appropriate for children. There are ways to sidestep scary terminology without forfeiting understanding. 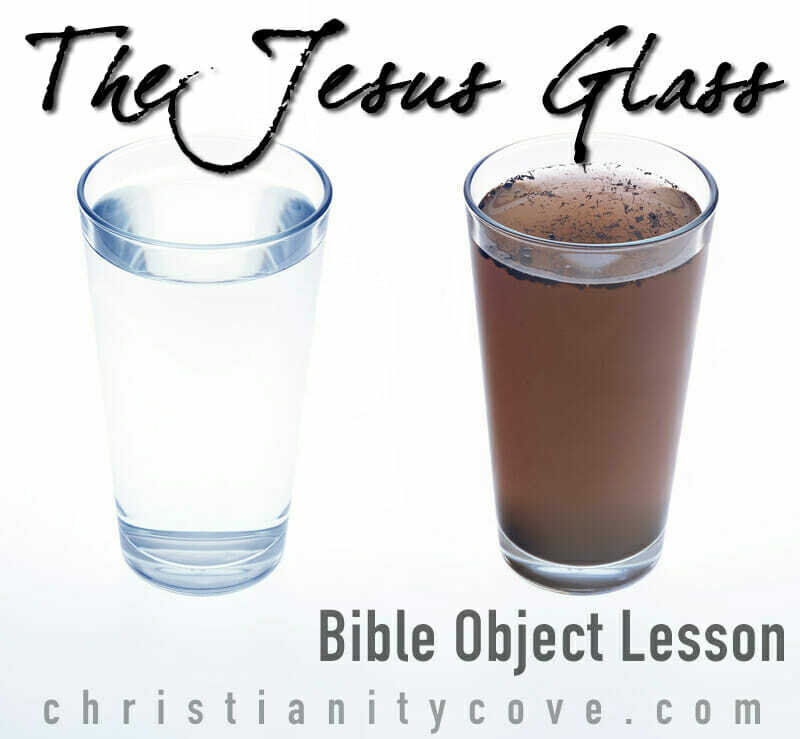 This Bible object lesson using the Jesus Glass to take away our sin ought to make things more clear. 1. Fill the drinking glasses with a couple inches of water and put all your materials on the table. 2. Put a piece of masking tape on each drinking glass and write the names ANDREW, BETHANY, CARL and JESUS in marker pen, one on each glass. 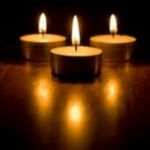 Around Easter especially, you will hear the expression, “Jesus died on the cross as a sacrifice for our sin.” At first, it sounds like some dark and scary concept that we would rather not think about. But that’s only because it hasn’t been explained. 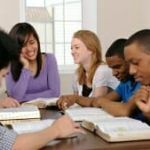 Call on a student and ask him to think of a time that somebody did a hurtful thing to him – stole something from him, called him a bad name, got friends to turn on him, gossiped about him. Don’t ask for a name and discourage names. This person who hurt [your student], we’ll call him “Andrew”. Let’s pretend that this glass is Andrew. Take up the balsamic vinegar. Andrew, maybe that has to do with how you hurt [your student]. Doing hurtful things doesn’t help us. Maybe now you feel guilt. Dump a few drops of balsamic vinegar into the water. Or worse, maybe you don’t feel guilt! Maybe you’ve done something like this so many times that now you can’t feel it when you hurt others. Dump in a bunch more drops. Maybe you’ve been hurt in your past, and you felt that gave you the right to make others feel that way. Instead of saying, “Ew, that felt terrible”¦I don’t want to make anyone else feel that way”¦” Maybe you felt”¦”I guess it’s okay to make others feel that way too, ha!” Dump in some more vinegar drops. Ew, poor Andrew! Look at you now! Andrew, did you know that when you hurt, and you respond by hurting others, that you’re multiplying that hurt? Pour some of the disgusting balsamic water from Andrew into the Bethany and Carl glasses so that they’re all a little dark. You might feel a little less dark for a while, but it’s a funny thing. Once you do something wrong, it’s easier to do that wrong thing next time. And the next time. Spill in more drops. And the next time, until your heart is hardened and you don’t feel guilt anymore. It makes you feel, well, if that wrong thing doesn’t feel so wrong, neither will this wrong thing. Spill in more drops. Fill the other glasses a bit from Andrew’s glass again. Boy, we’ve got a real mess, here, don’t we? We started off with being clear and free from our wrongdoings and the wrong doings of others. Now, we’re all dirty and gross and nobody would want to hang out with us unless they’re dirty and gross too. 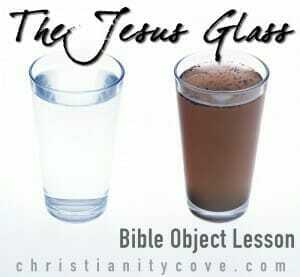 Bring over the clear Jesus glass. Here’s where Jesus comes in. He was a carpenter in Nazareth. He looked the same as us. But Jesus was different. Jesus got mocked and taunted and teased a lot in his life, especially by the popular people, which everyone thought were so important. And here’s a really important thing. During his ministry, Jesus made claims that no one else did. “I’m Andrew. And I’m going to forgive you, Bethany, for this one bad thing you did to me.” That sounds nice – forgiving someone. And it’s logical, right? We should forgive others. Allow students to agree. Let go of Bethany and take up Carl. Shake up Carl a little bit. “I, Carl, am going to forgive you, Bethany, for this one bad thing you did to me.” Again, that sounds nice and logical, right? Allow students to agree. Now, how about this one? Shake Carl again. Bring all three glasses together. Does that make sense? How can Carl forgive Andrew”¦ for something Andrew did to Bethany”¦ and not to Carl himself? Let’s say that Andrew stole from Bethany and it made Bethany very sad. How can Carl forgive Andrew for stealing from Bethany? That’s weird. Is it any of Carl’s business what Andrew did to Bethany? No. If Carl were making such a claim, that he could forgive sins that didn’t happen to him, what might that tell us about Carl? Is he crazy? Maybe. Is he a stupid, arrogant liar, who is trying to make himself out to be more important than us? Probably. Let go of Carl and Andrew and Bethany and bring over Jesus, the clear glass. Tap Jesus on the table. Slowly begin pouring the brown water into Jesus from each glass. 2 Corinthians 5:21 says, “God made him who had no sin to be sin for us, so that in him we might become the righteousness of God””¦ so that we might be able to get clean. Hold up Jesus filled with the brown liquid. At Jesus’ crucifixion on Good Friday, he was filled with the “mess” of everyone who would ever believe in him. That includes Andrew, Bethany, Carl, me, and all of YOU. But what does that mean? 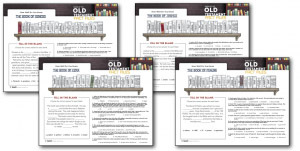 What does Jesus do with the wrongdoings? Hand the Jesus glass to your assistant and tell her to go flush the brown stuff down the toilet and flush. Take up the Andrew, Bethany, and Carl glasses and wipe them clean with the towel. Fill them with fresh water. We were designed to have a loving friendship with God. And when we get all dirty and gross with wrongdoings, it gets in the way. Jesus would do whatever it took to have that loving relationship with you”¦ and one that lasts forever and ever. Have your assistant return the glass and put all four together. Let’s use Easter to remember that Jesus, while watching over us, is building a cool place, so that, when we keep relying on Him on earth to stay clean, we can be with him forever and ever in heaven! 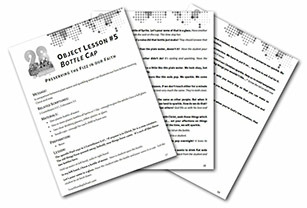 I am so excited to share this Bible object lesson with you , and hope you are just as excited to try it with your students! 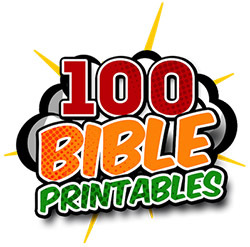 Don’t forget to Follow Me on Twitter, where I will be sharing more great Bible object lessons and other ideas! Thank you for this! 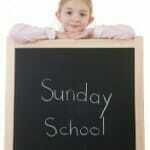 I will use it with my preschool class at church. 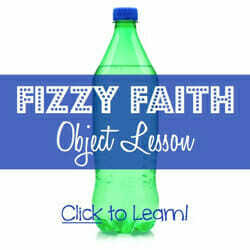 It is good to have an applicable object lesson for these kids! What a beautiful lesson! I might do this with my daughter for upcoming Easter! Thank you for sharing!